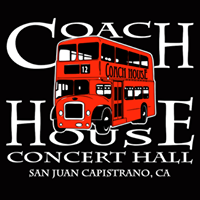 will play at The Coach House on Saturday, August 3, 2019. The whole band will be there, except that Alan Deremo will play instead of Will Brady who can't make it. Check "Events" page for appearances and info on venues. Most of the members have cd's out, and they are, of course, GREAT! so go to their individual websites to find out about these. Honk has its origins back in 1970 with Steve Wood, Don Whaley and Tris Imboden, all from different bands who shared a common desire to make original, adventurous music. They added members and lost members over the next two years, changing into the band that still plays together thirty years later. In 1971, Honk expanded by one guitar player, Richard Stekol, and a recording contract with Granite Records, and the next year added a girl singer (Beth Fitchet) and a saxophonist (Craig Buhler). Then in 1972 Greg MacGillivray, a high school buddy, hired Honk to produce some music for his surf film, “Five Summer Stories”, unwittingly creating an identity for the band. Already gaining popularity by that time, Honk soon achieved legendary stature in Southern California through their connection with the film. Their sound track album was a favorite with surfers and music lovers alike, and even made it to #1 in Hawaii. Record deals with 20th Century records and Epic Records followed, two records were released over the next two years, one bass player was lost (Don Whaley), one was gained (Will Brady), and Honk went on tour. They toured all over the United States, opening for Loggins and Messina, The Beach Boys, Chicago and Santana, and their popularity grew. Audiences everywhere were blown away by their musical energy, variety and plain nerve. Their repertoire wandered all over the map, going from Mahalia Jackson’s gospel music to Freddy Hubbard’s jazz to Martha and the Vandellas Motown sound, with a large portion of original rock and roll or folk setting the tone. Always included in the set were songs from “Five Summer Stories” for their surf fans. Honk’s breakup in summer 1975 sent their fans into mourning. The members went their own musical directions, but in 1983 reconverged for the reunions that continue to this day. Each meeting is like a time warp, sending all six members back twenty or thirty years, and they are completely musically reconnected as though no time had passed. Their fans feel the same way, and show up for their yearly reunions in record numbers. For a history of Honk, go to Members, and read each member page in order. "Five Summer Stories", the surf film produced by MacGillivray Freeman Films in 1972. "Pipeline Sequence" was a number 1 hit on KPOI in Hawaii. Beautiful cover by Rick Griffin. The band was an unlikely surf band, but helped redefine the genre. A few of these guys actually do surf, and all love the ocean.